A generation ago the Ubaye and Durance rivers were dammed near their confluence, creating the vast Lac de Serre-Ponçon, whose azure expanse shimmers invitingly below the long, steady climb towards the Vallée de l’Ubaye. After cresting the summit the route plunges between modest hill farms and dense larch forests, following the river through deep gorges before things finally open up amid broad, fertile plains. The effect is almost like finding Shangri-La – and it seems that I’m not the first traveller to feel this way. 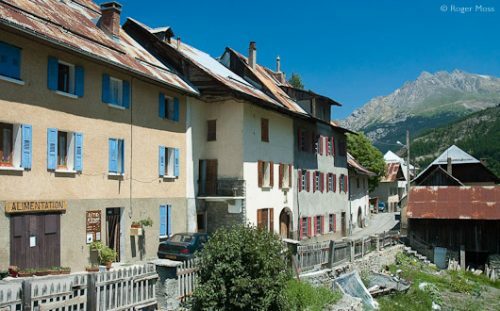 How did a long-remote mountain village blossom into the elegant town we now see? … a simple wall plaque commemorates three brothers who had an incredible adventure, which was to have a profound and lasting impact on the entire valley. Until the road opened in 1883 the entire valley would be virtually inaccessible from the outside world each winter, as heavy snows closed the high passes which offered the only access over the surrounding mountain ranges. Life was understandably hard, but the resourceful people of the villages dotted around the valley became remarkably adept at coping with their situation. 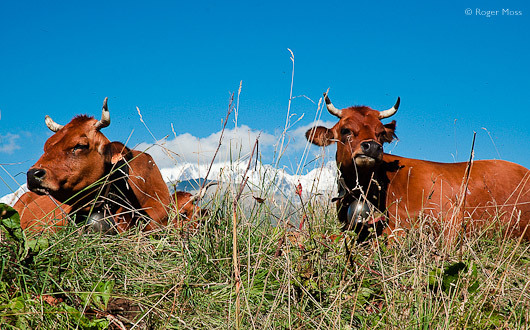 In summer farmers herded livestock up to graze ever higher on the alpine pastures (alpages), then guided them safely down again in autumn, in the age-old ritual of transhumance. Natural resources like wool and timber were traded with lower-lying areas and across the nearby border with Italy (Piedmont actually ruled the valley for long periods before Savoie was ceded to France in 1713). Today farming has been joined by tourism, welcoming visitors who come to discover the villages, forests and surrounding mountains via an expanding network of marked footpaths and cycle routes. Life in the valley centres on the small town of Barcelonnette, whose geometric street-plan is a legacy of 13th-century town planning. Founded in 1231 (on the site of a Gallo-Roman settlement) by Raimond Béringer V, Count of Provence, the town’s name reflects the family’s Catalan origins in Barcelona. The resulting cultural melting-pot produced some exotic touches in the architectural style of the townhouses, seen to best effect in the principal thoroughfare of Rue Manuel. Here densely-packed façades rise through five or even six storeys, their faded pastel stucco punctuated by tall windows with louvered, persienne-style shutters and extravagantly-styled wrought-ironwork balconies. Down at street level, large vaulted spaces once given over to stables now accommodate comfortable restaurants plus a healthy selection of boutiques selling everything from fresh bread and hand-made pasta (a local speciality) to hardware and, naturally, outdoor activity clothing and equipment. 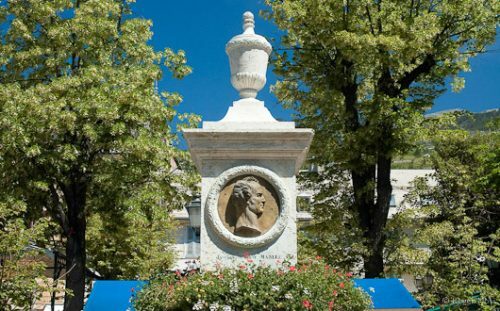 Just off the street, in the broad square known as Place Manuel, stands further evidence of Barcelonnette’s intriguing air of faded glory, in the form of an imposing Italianate monument to local dignitary Jacques Antoine Manuel. So, how exactly did a long-remote mountain village blossom into the elegant town we now see? The first clue lies just opposite the square, where a simple wall plaque commemorates three brothers who had an incredible adventure, which was to have a profound and lasting impact on the entire valley. Inspired by the opening up of new opportunities overseas, the enterprising frères Arnaud travelled to Amsterdam, New Orleans and finally to Mexico, where they discovered a thriving economy combined with a conspicuously underdeveloped commercial infrastructure. They wasted no time passing the news back to the valley, triggering a wave of emigration to establish businesses, including a series of Parisian-style department stores. In time the emigres’ entrepreneurial acumen and determination were handsomely rewarded, and considerable fortunes were made. Wholesale and retail companies were followed by industrial manufacturing bases and even financial institutions, including the National Bank of Mexico. Eventually, however, many of the more successful pioneers returned to their beloved valley, where they invested some of their new-found wealth, commissioning fashionable architects to design elegant villas in which to enjoy a comfortable retirement with their families. 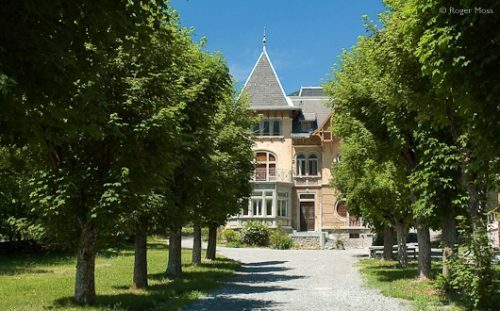 Between 1870 and 1930 around sixty or so villas would be constructed around Barcelonnette and neighbouring Jausiers, their eclectic styles clearly owing more to prestige coastal developments than the more functional architecture of the mountains. A century or so on, the shock of the new has passed, and the villas form an important part of the historical heritage of the valley. Smaller and sleepier than Barcelonnette, Jausiers nevertheless shares the same colourful Franco-Italian style (the 17th Century église Saint-Nicolas-de-Myrrhe, for example, is pure Piedmont Baroque ) and packs a lot into its pedestrianised heart. During the 18th Century the village was a centre for silk production, and on the wall of one of its former mills, later the home of the Arnaud family, is another marble plaque celebrating the local celebrities. The sign says it all – this is truly epic touring country, amid some of Europe’s finest mountain scenery. A little further along the valley lies the ultimate expression of their legacy: the Château des Magnans. Sited in a prominent position beside the road which winds its way from Jausiers towards the Col de la Bonnette (at 2802m Europe’s highest pass), this fairytale extravaganza was commissioned by Louis Fortoul, founder of Guadalajara’s celebrated Fabricas de Francia store. 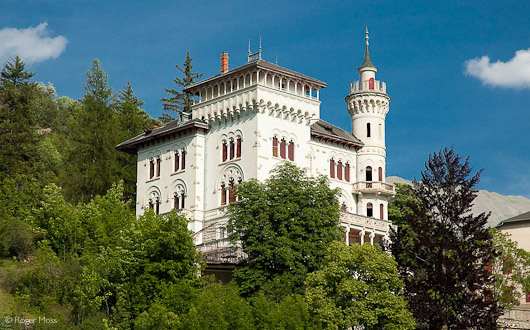 Constructed between 1903 and 1914, the design fuses Bavarian and Venetian neo-Gothic and is today an hotel, and listed as an historic monument. Beyond Jausiers the Ubaye turns northwards past la Condamine-Châtelard and the Fort de Tournoux, a spectacular military tour-de-force whose construction began in 1840 and continued to provide prosperity for the village for almost sixty years. For all its colossal scale, the fort’s complex network of galleries and multiple levels is concealed deep within the austere rock face towering over one of the more defensible points along the valley. Leaving the D900 to its assignation with the nearby Italian border at the 1948m Col de Larche, I continue beside the river on a route defended by a much smaller fortress known as the Redoute de Berwick and dating from 1709. After passing through a couple of tunnels the road begins to climb more steeply towards the Col de Vars (2109m). This famous high-altitude pass (a famous climb in the Tour de France) was opened to improve access to the Fort de Tournoux after the old military Route du Parpaillon proved impracticable in winter. The river, meanwhile, has other ideas. 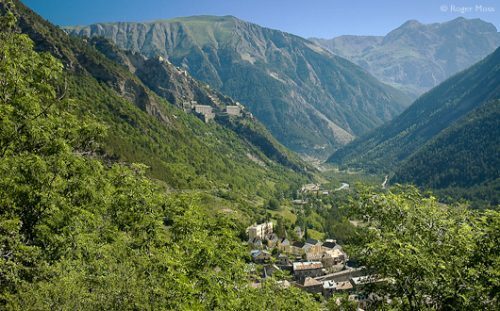 Following it means turning off at Saint-Paul-sur-Ubaye (altitude 1470m), which sits in the landscape like the classic chocolate-box mountain village. Drawing closer, though, reveals that beneath the persona lies a most untypical collection of extravagantly-proportioned homes constructed, like the villas of Barcelonnette and Jausiers, by newly-wealthy Valëians returning from Mexico (a glance at their monuments in the cemeteries of all three villages shows that even death provided an opportunity to display their worldly success). Galvanised iron sheeting may have now largely replaced timber shingles as the preferred roof covering, but like much else in the upper valley, time seems otherwise to have little meaning here; the village fountain dates from 1714, while the Romanesque Eglise Saint-Pierre-et-Saint-Paul was reconstructed in 1472. Beyond Saint-Paul the road becomes less-travelled yet ever more rewarding, the few man-made features convincingly upstaged by the sheer dynamics of the landscape. A long-abandoned Ligne Maginot gun emplacement is today barely visible at the roadside, but the Pont du Châtelet is truly spectacular. This slender, single arch of stone hangs a vertigo-inducing 108m above the river, and looks and feels for all the world like a medieval pack-mule bridge, but was actually completed in 1888, providing access to the tiny village of Fouillouse and the border territory beyond. By now the valley is becoming ever wilder, with only the trickle of water over the stony riverbed and the shrill cries of marmots high on the mountain slopes to disturb the solitude. The road finally narrows then peters out completely in the neighbouring hamlets of Maljasset and Maurin, at an altitude in excess of 1900m, making them (purpose-built ski villages excepted) the highest communities in all Europe. Despite their remoteness, the mountainsides above Maurin once supplied white-veined green marble for Napoléon’s tomb and the steps of the Paris Opéra. Activity ceased long ago, but at the peak of its success the quarry employed over 100 people and supplied customers as far away as the USA. My journey, a modest 70 or so kilometres, has followed the Ubaye as it threaded its way between the massifs of Parpaillon, Chambeyron and Séolannes, whose distant peaks soar to over 3,000m. Like most rivers, the Ubaye has proved to be a highly entertaining travelling companion, showing me things I’d otherwise never have discovered. In summer, the opportunity exists for all sorts of activities including hiking, climbing, water sports, mountain biking and cycle touring. 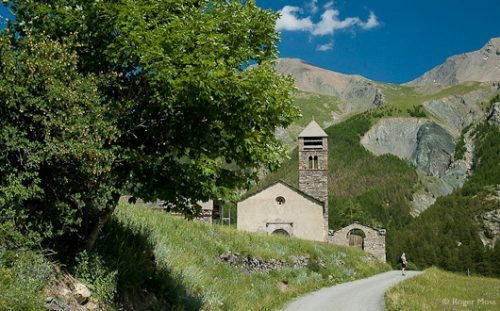 The Ubaye website gives you plenty of ideas, itineraries for cycling routes and details of where to hire equipment or find a guide. Cycling is particularly popular, with no fewer than 7 mountain passes to choose from and the Col d'Allos reserved just for cyclists on Fridays in July and August. 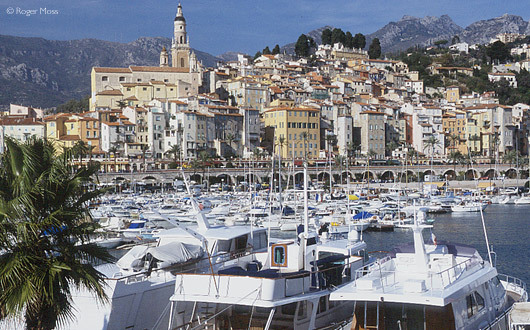 See our feature on cycling the Route du Parpaillon. Open all year except mid Nov-Dec, hours vary. Tarif Adults €3,30. Take advantage of a guided tour if you can (Tuesday and Thursday in the summer) because the museum tells a wonderful story. Not only does it creatively portray the traditions of mountain life, but explains the fascinating tale of the Arnaud brothers, who left the valley in 1821 to seek their fortune. Their legacy has made the valley what it is today and will amaze anyone who hears the tale. Tournoux, Roche-La-Croix, St Ours Haut and la Redoute de Berwick. This mountainous region, crossroads of the great alpine routes, and frontier between Provence and Piémont, the Vallée de l'Ubaye possesses remarkable traces of its military history on its peaks and at the confluences of the rivers. Guided visits to the sites run from mid-June to mid-September. See Tourist Office website for details. 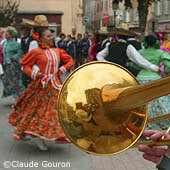 The Vallée de l'Ubaye hosts three main festivals every year - Le Festival des Enfants du Jazz in mid-July, the Fêtes Latino-Mexicaines every August and a classical music festival at the end of the summer. See Tourist Office website for programme details and ticket reservations. 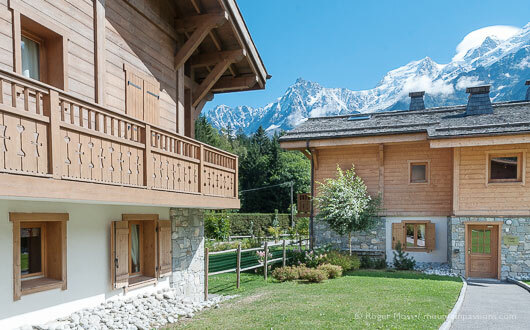 Unwind in peaceful surroundings and comfortable accommodation with mountain and valley views. Breakfasts are a feast of local and home-made produce served in a stone-vaulted dining room. If you really want to get away from it all, enjoy hiking, cycling and wildlife, this is the place. Picnic baskets are available, and dinner consists of dishes prepared from fresh local produce. This complex of apartments and individual chalets is situated in Pra Loup 1500 with extensive views of the valley and surrounding peaks. All the accommodation is well-equipped and we found it to be quiet, very spacious and nicely furnished. On-site facilities include a heated swimming pool and spa. 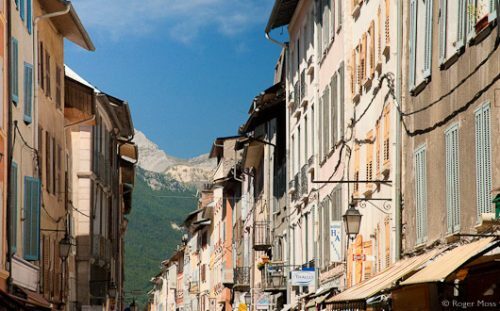 It's a short drive into the centre of Pra Loup and 15 minutes into Barcelonnette for a wider choice of shops, markets and restaurants. Ubayenne specialities include ravioli with fillings as varied as ortie (nettle), jambon cru with parmesan or fleur de courgette. Savoury tarts, particularly spinach, or potato and mushroom, also provide plenty of choice for vegetarians. 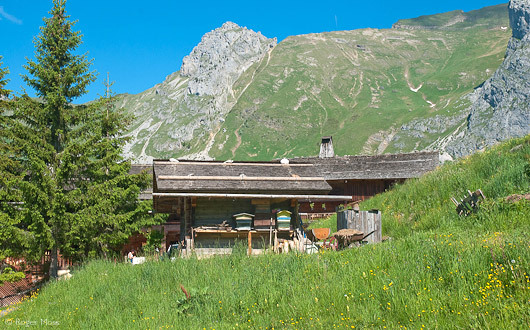 Look out for local cheeses, freshwater trout, and the Alpine liqueur génépy. Market days are Wednesday and Saturday mornings. We defy anyone to go in this shop and come out empty-handed. 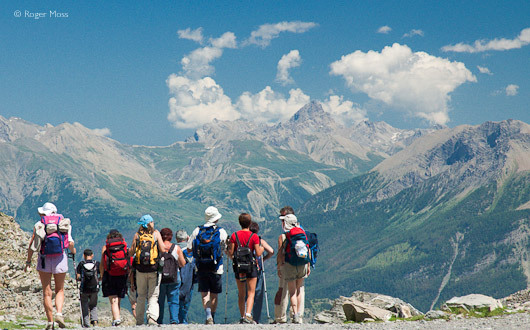 All the products are made by artisans and producers in the Vallée de l'Ubaye. It's particularly notable for honey from Alpine flowers and lavender, jam from the sweetest fruit you've ever tasted, and a vast range of charcuterie and dairy produce. There are also crafts, pottery and leather goods. Products available by mail order. Situated on the main street, the Poivre d'âne has several small dining rooms and in summer, you can eat in the garden too. We sat near a lovely open fire and after a long day skiing the Espace Lumière, were ready for our delicious meal. We started with the home-made soup followed by Bar Sauvage (23€) and Saumon l’Oseille (18€) both served with potato and onion rosti, and seasonal vegetables. Barcelonnette (15 minute drive from Pra Loup) is a fascinating town and well worth visiting during your stay.